Prep for a nice, new deck. Sometimes remodeling can be very messy! Added new sink, fixtures, mirror, paint and flooring. The trim around the door, electrical and plumbing remain the same. The kitchen flooring in this rental was in need of repair and replacement. The gray areas are a filler/repair compound to level the floor and eliminate imperfections. 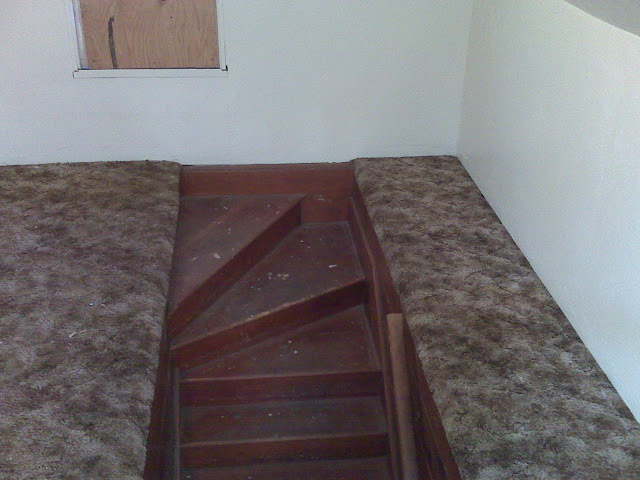 Finished floor, the original floor base was re-used. The customer wanted an updated look without replacing all the doors and moldings in the house. 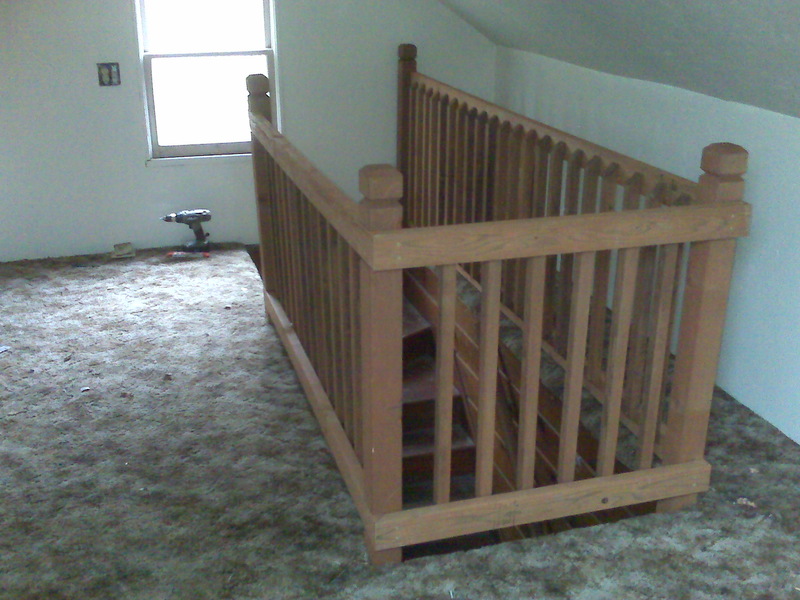 The owner of this rental wanted a safety rail installed here, at the top of the stairs. The customer wanted to open up this wall to the living room. After addition of a Quartz Silestone sill.